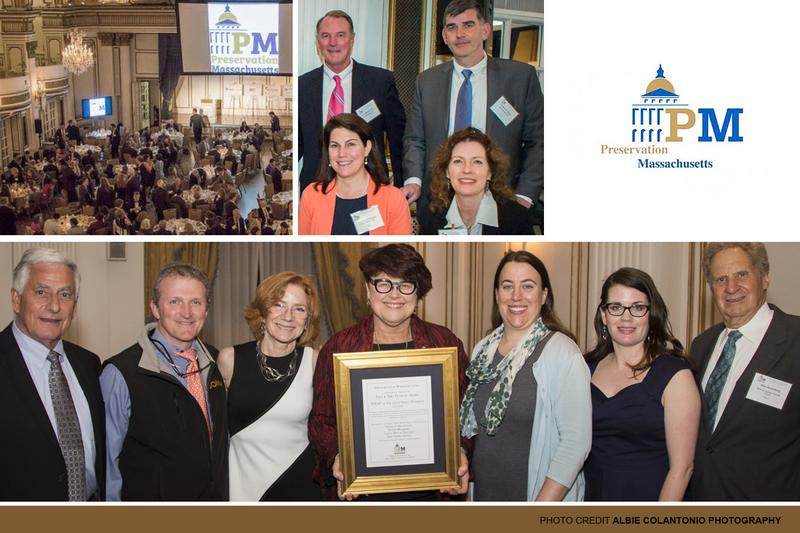 (Boston, MA) – BOND, the Northeast’s premier building, civil, utility and energy construction firm, is pleased to announce the Taunton State Hospital WRAP (Women’s Recovery from Addictions Program) project has been awarded the Preservation Massachusetts 2017 Paul and Niki Tsongas Award. The project was recognized in the category: Best Use – Community and Social Services. The award ceremony was held on May 10th at the Fairmont Copley Plaza in Boston. The Tsongas Award recognized BOND’s renovation which includes 17,050 square feet of the historic Taunton State Hospital’s Chambers Building, a secure facility that houses women who are recovering from addiction and substance abuse. The project was highly successful in transforming an outdated building on an underutilized campus into a new state-of-the-art treatment and recovery facility with a nurturing soul of 165 years of history. Project construction began on December 1, 2015, and the WRAP project in the Chambers Building was open for occupancy on July 5, 2016. Fast-tracked by Governor Baker as an emergency project, the construction phase took just over six months – an accomplishment achieved through a highly collaborative team of owner (DCAMM, the state’s building agency and Department of Mental Health), architect (Studio G) and builder (BOND). Within that time period, the existing stereotypical institutional glazed block wards were transformed into a welcoming, home-like environment. Spaces were designed to give individuals a sense of control and identity. Complete HVAC and life safety systems were installed. Two beautifully-landscaped courtyards with site furnishings, walks and fencing were created to give the clients access to the outdoors. Final renovation provided two new wings of patient rooms, an administrative wing, lounges, dining rooms, nurses’ stations, medical rooms and other support spaces. The 29th Annual Tsongas Awards recognized 22 projects from Plymouth to Pittsfield that demonstrate the award theme, The Power of Preservation. Winners were selected through a nomination process. Each project, along with their team, show what preservation brings to communities and lives. They range in use from housing to educational facilities, to health care and community service uses and show that preservation is a tool that utilizes the past to make a better future.